This Sunday’s Gospel is the story of the vine and the vine grower from John's Gospel. 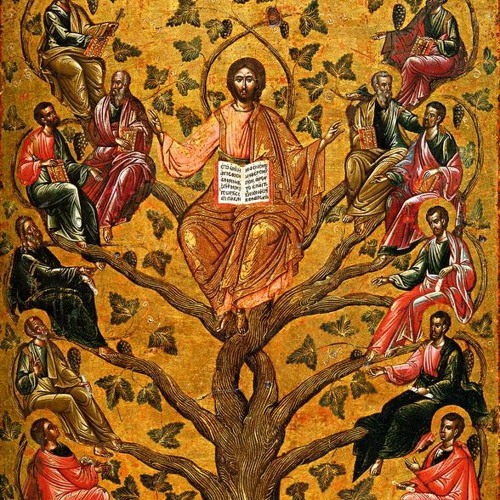 Jesus says: “I am the vine, you are the branches. Whoever remains in me and I in him will bear much fruit because without me you can do nothing”. The text invites us to live a more authentic Christian spirituality. It offers us 3 reflections: i) that we seek to be disciples who have a deep and intimate relationship with Jesus – just as he has with the Father; ii) it challenges us to see how abiding in Jesus means that we abide in community – being in and with, others in a Christian community; iii) that living the life of a disciple means allowing the Lord to prune us – even if it’s painful – of attitudes, dispositions, actions that can be replaced with ones that are better – ones that enable us to bear much fruit. Join Fr Russell Pollitt SJ as he reflects on the readings for the 5th Sunday of Easter. You can find the texts that this reflection is based on in your bible, or simply just hover your mouse over the following references and the texts will also appear: Acts 9:26-31; Psalm 21; 1 John 3:18-24 & John 15:1-8 If you regularly visit our website and listen to this reflection please consider supporting us in the work we do. Your donation ensures that we can continue to provide you with only the best. Click HERE to donate now. Thank you!